This new Oceanmaster 630WA is a 21ft center console family dayboat featuring a performance hull design, giving good economy and ride comfort. With power options up to 150HP she offers blistering performance. She has a beam of 8.5 ft, giving considerably more deck space than other boats in her class with comfortable seating for 8 adults. 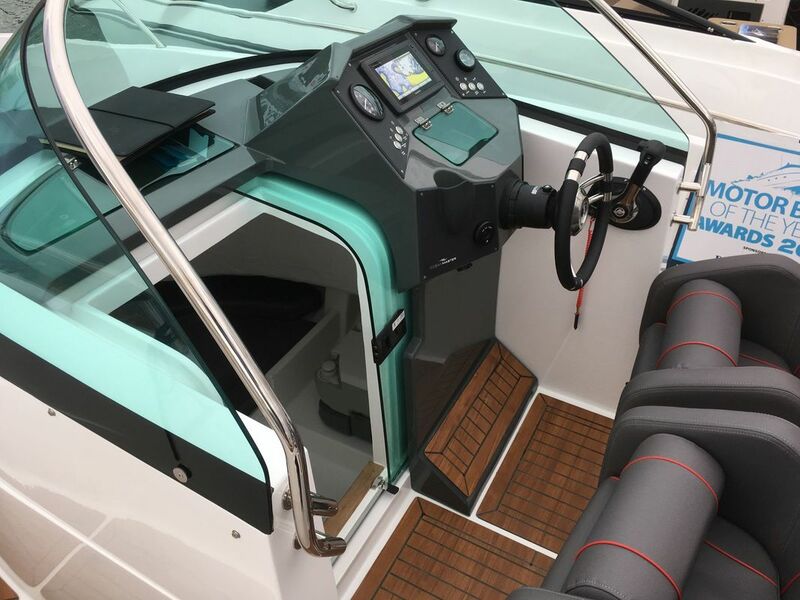 A deep, high sided cockpit plus high freeboard affords those onboard a safe dry ride. 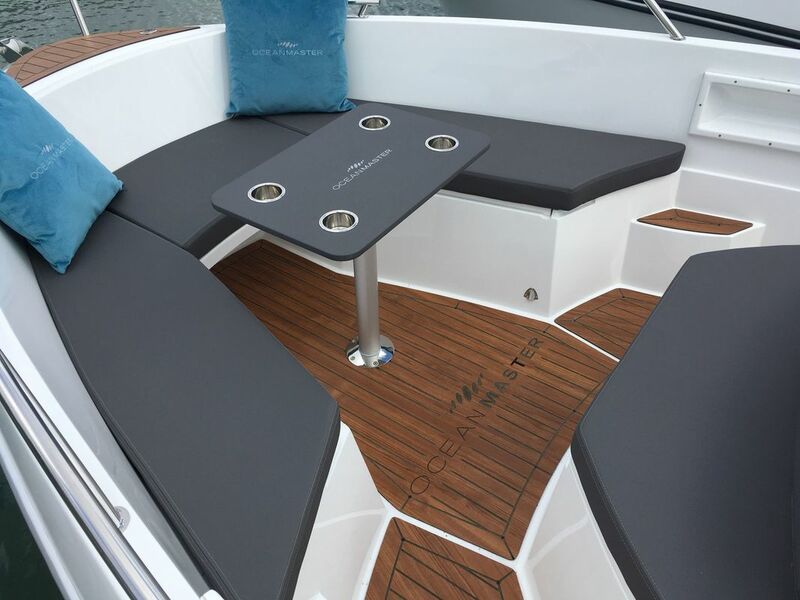 Forward dining area that easily converts to a large sun-deck, fully adjustable twin helm bolster seats. 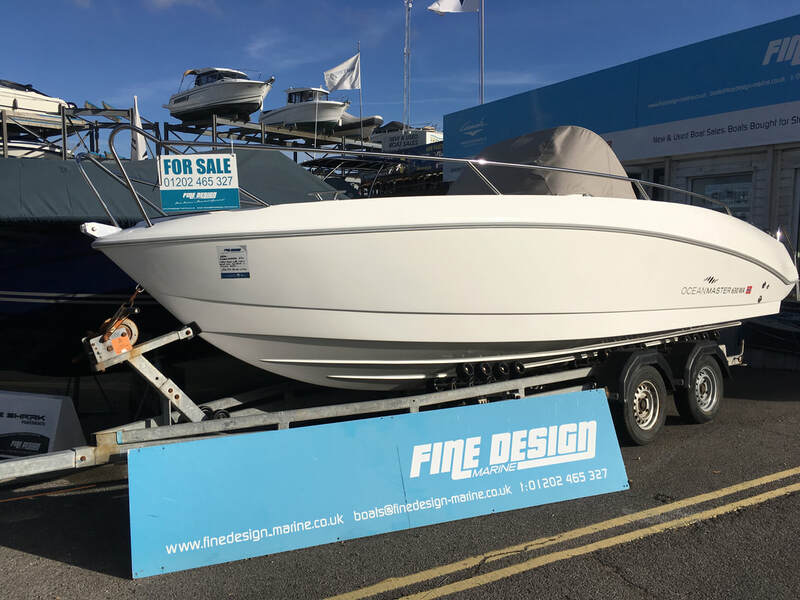 We can offer features such as integrated drinks chiller, marine BBQ, fresh water transom shower, sea toilet in the very usefull cuddy cabin that offers considerable storage space, bimini top, storm spray hood over helm, full canopy enclosure, water ski system plus much more. She’s a competent offshore adventurer but is equally at home towing skiiers, on a fishing trip or resting at anchor for a lazy afternoon. The new Oceanmaster 630WA - ultimate versatility & practicality with creature comforts the whole family can enjoy... Boats available for viewing at our South coast facility in Cobbs Quay marina, Poole harbour.